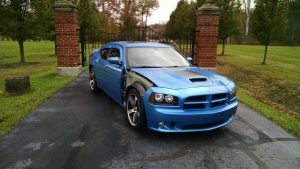 Cleveland Power and Performance is proud to present this rebuild-able 2008 Dodge Charger SRT-8 Superbee! 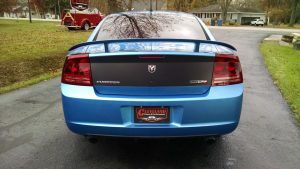 This limited edition Charger is fully loaded with all of the features that you would expect from the SRT line. This #177 of only 1,000 Superbees produced in 2008! 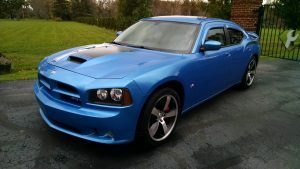 This Charger has 70K miles on it! 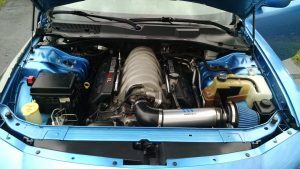 This is your chance to save thousands on a rare edition Superbee Charger. 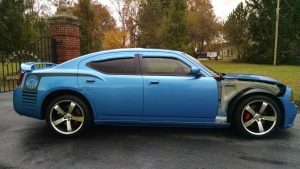 We purchased this Charger after it had been in a collision. This Charger was hit in the passenger side front of the vehicle. The airbags did deploy however, the drive-line suffered no damage in in impact. We replaced the RH front lower control arms, windshield, and right hand headlight. Several of the body panels on this car are dinged and dented from the collision. Please view all pictures below to see the condition of this car. 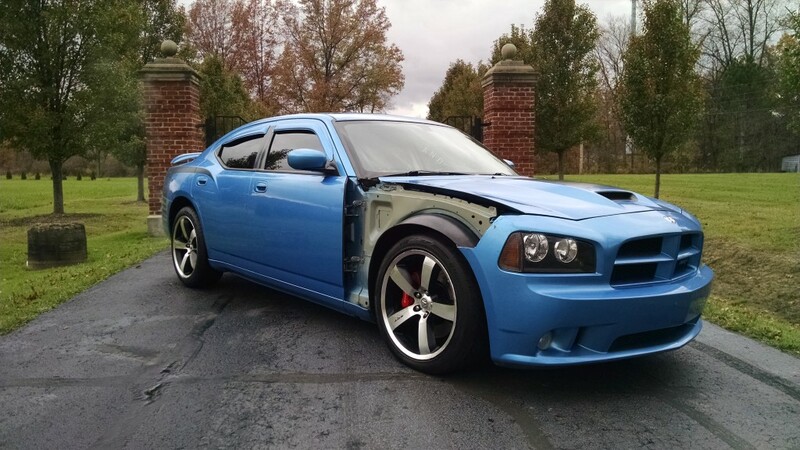 This Charger is being sold with a salvage title. 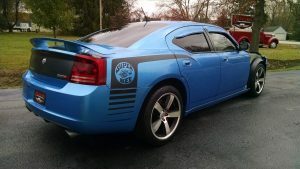 This 2008 Charger Superbee features the awesome 6.1L HEMI engine which produces 425HP and 420ft-lbs of torque! Mated to the 6.1L, putting the power to the wheels, is the stout W58580 5-speed automatic transmission. This Superbee Charger is optioned out with all of the performance and luxury components that you expect from the SRT line. 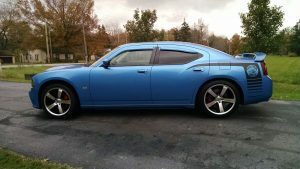 This Charger features power and heater front seats with SRT embroidery and blue accents, Brembo brakes on all four corners, hands free calling, sunroof, remote start, carbon fiber interior accents, and more. This Charger is sitting on all four factory Alcoa Forged 20″ rims. that show some wear as pictured. The right hand front rim holds air, but is bent. All four wheels are wrapped in 245/45/20 tires. 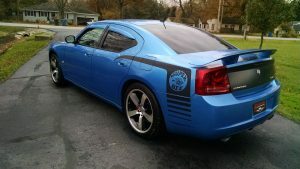 WE HAVE A CUSTOM ENCLOSED DELIVERY TRAILER TO BRING THIS CHARGER TO YOUR LOCATION! CONTACT US FOR A QUOTE!! The CHARGER is SOLD AS IS. NO CREDIT CARDS ALLOWED ON VEHICLE PURCHASES.